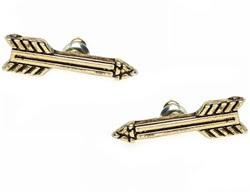 House of Harlow's arrow earrings retail for $30 on the House of Harlow website. Sarah Aghili has of course, done it again, with these great arrow earring lookalikes. They retail for $4.50, click HERE for more information or to purchase. Use code Look4Less for 10% off your order. The 10% off isn't working? ?